An interview with Alexander R. Galloway about my recent book Dark Deleuze has been published at boundary 2 online. In it, we discuss Deleuze and Guattari, technology, queer feminism, blackness, intolerance, and many other topics. 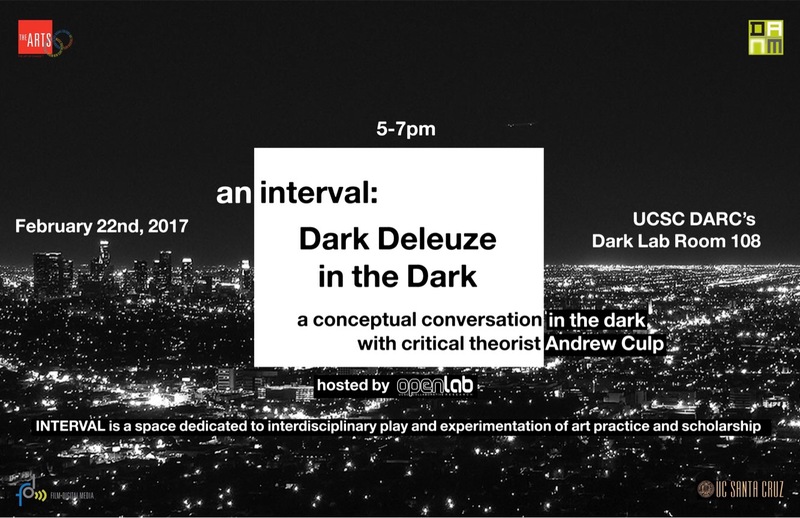 Join me for a reading of Dark Deleuze at Left Bank Books, 92 Pike St, Seattle, WA on July 9 at 7:30pm. Gilles Deleuze is known as a thinker of joyous affirmation and rhizomatic assemblages. Andrew Culp argues that this once-radical canon of joy has lost its resistance to the present. Culp unearths an underground network of references to conspiracy, cruelty, the terror of the outside, and the shame of being human to rekindle Deleuze’s opposition to what is intolerable about this world. Andrew Culp is a lifelong anarchist who has been involved in radical collectives in Kansas City, California, Ohio, and Washington State. Dark Deleuze is part of his work on revolutionary thought inspired by the recent circuit of struggle that poses no demands, resists labels, and refuses to engage in formal political systems.